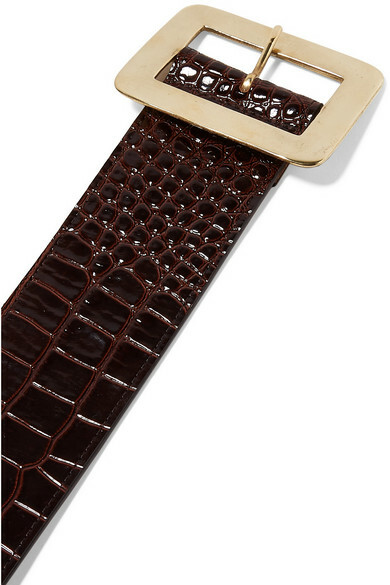 Black & Brown's croc-effect belt is such an easy way to tap into this season's animal-print trend. Designed to highlight the narrowest part of your waist, this glossy style is made from brown patent-leather and backed in suede so it won't slip. Match your accessories to the oversized gold buckle. Shown here with: Helmut Lang Sweater, Peter Do Pants, Laura Lombardi Necklace, Mounser Earrings, Tohum Ring.